A loan of $2,125 helped to cover his tuition fees to study culinary arts, which he considers the essential step toward achieving his dream and fulfilling his ambition. Fahmi is a 25-year-old single young man. His family consists of 16 members living in the Al-Kraymeh area, which is considered a poverty pocket area. Fahmi started his career early, as his family’s poor conditions forced him to drop out of school and start working to support them. He worked as an intern chef for 3 months in one of the most famous hotels, without obtaining any vocational certificates, and as a chef for 2 years in a company, before working for the Amman airport. While dreaming of becoming an executive chef for a famous restaurant in Europe, Fahmi realized that his experience is not enough for him to achieve this dream. So he decided to get a diploma in culinary arts in one of the most popular collages in Amman. 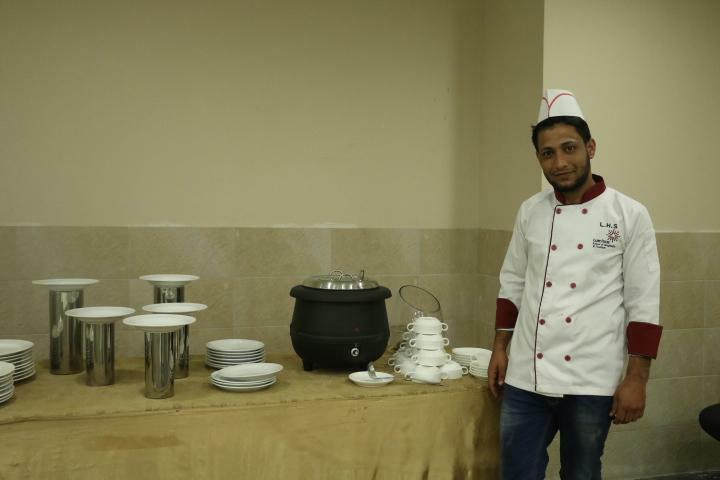 Fahmi applied for a JOD 1,500 loan at Kiva field partner Microfund for Women, to cover his tuition fees to study culinary arts, which he considers the essential step toward achieving his dream and fulfilling his ambition. It allows students of every economic background to continue their higher education. By supporting this loan, you're removing barriers to help low-income students attend and excel in school. Funds will be used for partial or complete coverage of tuition and expenses related to higher education or vocational training. This will allow students from every economic background to continue their studies. Microfund for Women is a nonprofit organization that seeks to improve the lives of underserved entrepreneurs, primarily women, through microfinance and education. They use Kiva financing to develop their innovative loan products to reach marginalized communities and empower women. Kiva is proud of Microfund for Women’s commitment to gender equality and financial inclusion. Microfund for Women addresses these challenges by providing women with innovative economic support and working in underserved communities throughout Jordan.